As we arrived at Deakin Waterfront at 10am, there were already cyclists arriving back at the finish line after achieving the 35 or 65 km rides. We were deployed into buses around the course for the Elite Women’s race. My first position was on Boundary Road, about 100 metres past the official race starting point, which was on Boundary Road near Portarlington Road. The whole group of elite cyclists flashed past in the blink of an eye, then it was off for us in the bus for a quick break at the Barwon Valley Fun Park (toilets, not playtime) before redeployment. Our group was near Queen’s Park Bridge. By sheer luck I was placed at the top of the course’s last short, but extremely steep hill, on Melville Avenue! Flash past? – the cyclists did not! The women’s race only completes one circuit, so the first riders up here had a very good chance of winning. By this point, the race was very fragmented, with at least 10 minutes between the first group and the last rider. They all had one thing in common – this was a hard climb! Without exception, the cyclists were in their lowest gear and off their seats for the steepest part! A small crowd of cycling fans and locals were assembled and cheered the riders, from first to last. By the time we were collected and returned to the Waterfront, it was all over. Who won? We only heard later! As the elite men’s ride included the whole course to Barwon Heads, Torquay, Bells Beach and Moriac, as well as an extra 3 complete circuits of the Geelong course, marshals were bidden to be at Deakin Waterfront by 8.45am. Once again, buses deployed us around the course. My first placement was on Barwon Heads Road, in Marshall, opposite Barwarre Road. A group of 3 had formed a breakaway, and, despite the closeness to the start, were already minutes ahead of the field. The peleton showed no interest in chasing, and were cycling at a sedate pace – 35, 40, 45 kph – who can tell but, in Rod’s words it was ‘a whirr of many wheels’. Our road closures removed, we were once again redeployed. 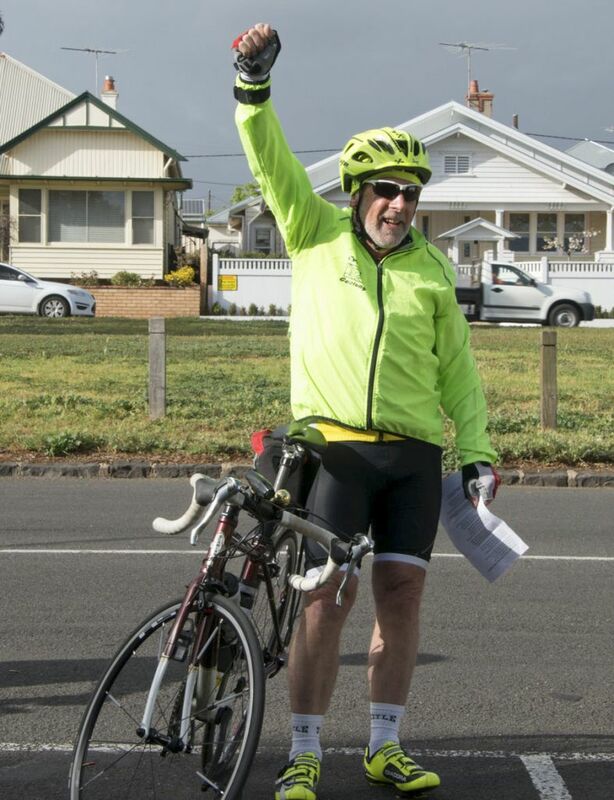 Once again, I was fortunate – marshaling pedestrians crossing Western Beach Road on the corner of Gheringhap Street – around 300 metres from the finish. The cyclists passed this point four times, the last one flat out in the sprint finish. Once again, it wasn’t till later that we learned the placings. 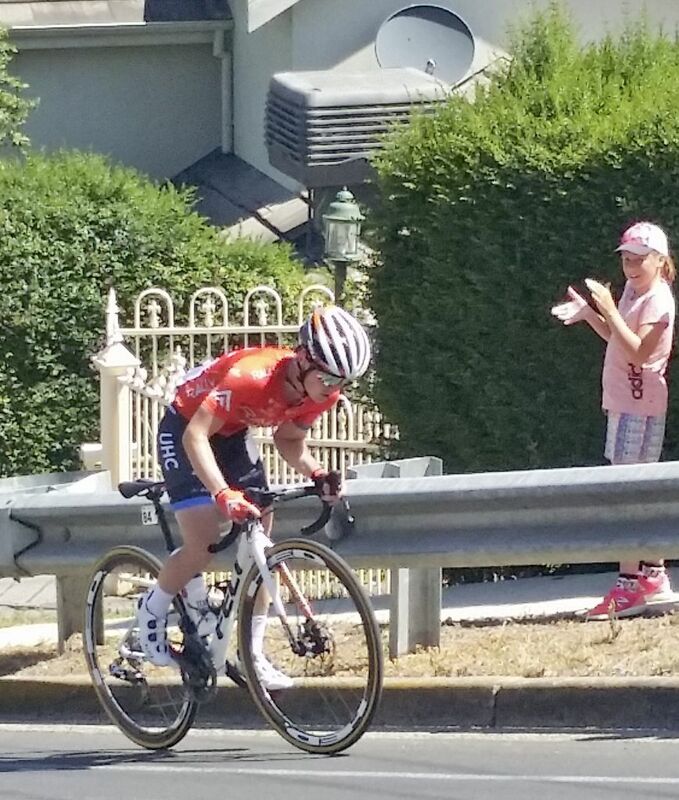 Cycling Geelong members, please send in your own stories and photos of the 2019 Cadel Evans Great Ocean Road Race and People’s Ride so we can share them on this website. After much research, the venue for this year’s Cycling Geelong Goldfields Tour will be Heathcote. * Accommodation will be at Heathcote Queen Meadow Caravan Park. Allan has already booked the available cabins. The O’Keefe Trail will be on the itinerary, and a winery visit or two. Allan, Karen and Kelly have already visited, ridden some of the area, and checked out wineries and eating out venues. Please contact Allan (03 5275 2612 MB 0418992672) if you’d like to be part of this tour. *The main reason for the change is the lack of accommodation in Rushworth, and the unlikelihood of getting sufficient numbers for the original holiday park. 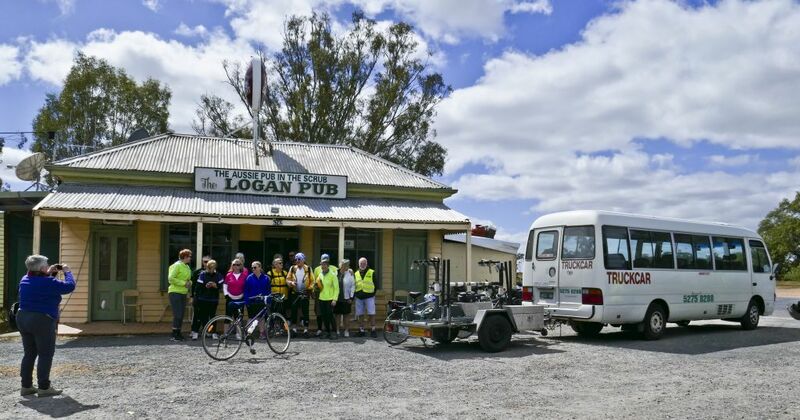 Our avid tour leader, Allan, along with hench-cyclists Karen and Kelly have been busy since new year researching the Goldfields Tour – 2019. Once again the tour is on Grandfinal Weekend – September 27-29th. A minimum number of 30 is required to secure this accommodation, which contains shared rooms with single beds and bunks, large, well appointed bathrooms, huge kitchen and communal areas and easy access to the lake and local attractions. 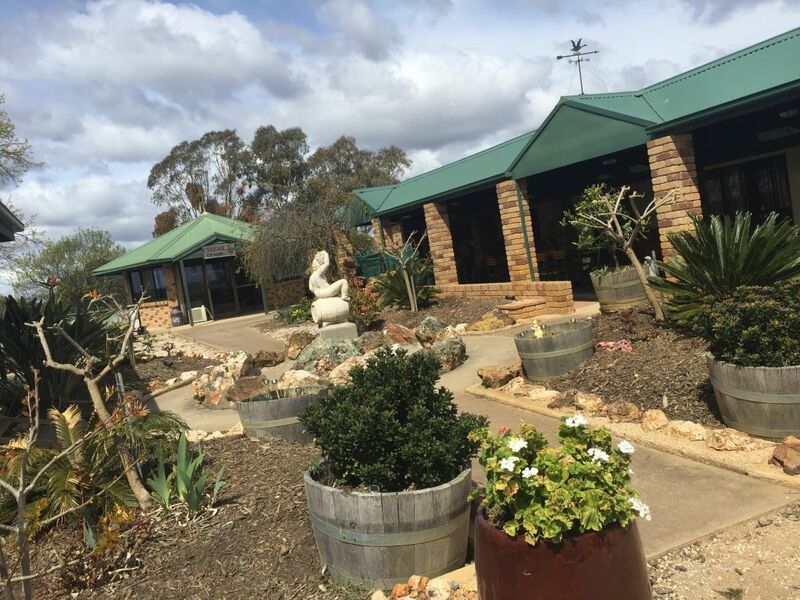 The group will travel via Heathcote, and, naturally, the area abounds with wineries! 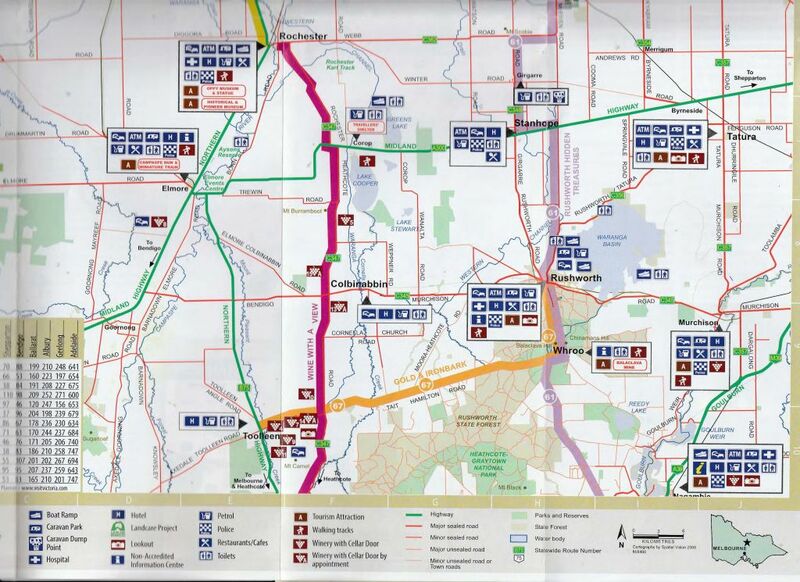 The rides will be on quiet roads, with some gravel sections, and the Murchison-Rushworth Rail Trail. Therefore Allan recommends that participants bring bikes with wider tyres – at least 35mm. Please let Allan (0418 992 672) know as soon as possible whether you are interested in attending this year’s Goldfields Tour. This will allow Allan to decide whether it is plausible to book the holiday camp. Because a firm booking must be made, and a minimum number of 30 is required to secure the holiday camp, there will be a non-refundable deposit required, payable around Easter. It is expected that, as on previous tours, a bus and bike transport will be provided. There were 15 cyclists for the final ride of the On Ya Bike! series of rides for the Seniors’ Festival. Kelly Rowe led the ride – to a ‘mystery’ destination, on a route devised by our mystery ride man, Allan Marshall. Kelly led the riders to Limeburners Lagoon, then via the Hovells Creek path to Lara. Doug Merritt performed the latest verses in his poem “On Ya Bike!” punctuated by the hearty response of “On Ya Bike!” from all. The feature of the ride was a full circumnavigation of Avalon Airport before coffee back in Lara at Xpresso. The service was friendly and prompt as usual before the cyclists set off back along Hovells Creek to Rippleside. Thanks to Kelly for leading the ride, Allan and Kelly for devising it and Doug for his poetry interludes. Thanks to Karen, joint tour leader for this report and photos. It was an early start on Friday morning as Nick & I left home in the bus to pick up Kelly and head off to Allan’s house to commence our Annual Cycling Trip. Arriving at Allan’s house at about 7:45am, we were greeted by Allan, Richard, Denise and Margy and loaded bikes and luggage. By 8:30am all the attendees had arrived so the only task left was to hook the trailer to the bus and head off. Estimated time of departure was set at 8:30, however a small glitch with the connection to the trailer and no lights set us back a little. Again it was Allan to the rescue with a new plug and we headed off 10 minutes later which was still good timing. It was a chilly morning with Carmel having a strong need for coffee, so coffee and toilet stop was had in Ballarat. The coffee did help the insomniac’s Kelly and I who had not slept well the night before and as we all know, I can quite animated and excitable after a long black. With empty bladders and caffeine induced fervour we headed for Kara Kara Winery for some tasting and purchasing of wine. It was proving to be a chilly morning with sunny breaks and the promise of no rain according to the Bureau of Meterology, however we did encounter some light rain on the way. Helen, Sally, Heather and her daughter Edena met us at Kara Kara to join in on our weekend away. It was a very informative session with the son of the winery owner giving us a great talk on the effects of no rain on effecting the growth and education on the use of Verjuice which can be used much like Vinegar or dressing. I’m sure all of us who purchased this can’t wait to try some. Our trusty bus driver then drove us onto the St Arnaud Caravan Park to unload bikes and go for our first ride. Lunch was cancelled at Six 2 Six due to a food shortage, albeit a great lunch was then had at The Dabbling Duck. After a stroll from the Caravan Park our bus driver renowned Vanilla Slice Connoisseur arrived to a lady bearing one from The Dabbling Duck. As I understand this passed the Vanilla Slice taste test. This will take a bit of cycling off! Food for a hungry driver! Onward and upward it was to visit The Wax Gardens, in which Margy and I couldn’t see any flowers but our very educated member Helen spotted many beautiful specimens and once again took some amazing photos. Kelly & I led the ride around St Arnaud and we visited the “Love Cottage”, “Steam Engine” and “Bush Lookout”. Kelly & I decided to cut the ride short so that we could all get ready for dinner at The Sportsman’s Club and after a lovely meal and a couple of drinks we headed back to the Caravan Park. Leading the club on our walk back Geoff & I thought we were going the way back we came in but this was not the case, this was not the route we embarked on so there must have been too much talking. Kelly & I don’t sleep in so we rode around the town of St Arnaud and looked at some beautiful old churches. Lucky for us Kelly spotted bindy eyes in our tyres, which could have been disastrous. Again it was a chilly morning, minus one was the temperature on arising but the sun was out and warmed our bones. Photos were taken and then we headed back for the caravan park for our next ride to The Logan Pub, a tiny establishment in a very small town. Is there anywhere in Western Victoria that Major Mitchell didn’t visit? Charming, nonetheless less, there is nothing like Champagne served in a wine glass. Adorned with a lot of paraphernalia and old style walls and furniture this little pub didn’t disappoint. Again another great meal was had and with a small kitchen and only a few cooks the service was exemplarily. After lunch we headed off for St Arnaud for some Grand Final Day celebrations and a BBQ. Sunday morning came with 2 well rested ride leaders ready for action, however the bus was not. Again our support vehicle had another glitch and Kevin once again lent a hand to help. After bidding farewell to Geoff & Stef, we left slightly later than planned nonetheless it was again an easy ride to Sally’s Paddock. After some tasting and a light lunch, a call was placed to Allan Marshall to thank him for all of his planning of his trip, his organisation of the event made things much easier , it was also a presentation to our trusty bus driver and a card to thank him also for all of his hard work. Finally, it was time to end our trip and travel home, after several stops we eventually arrived at Allan’s to unpack our bags and bikes and head for our respective homes. It was agreed that this trip was a success, with great cycling, great food, company and camaraderie. Thank you to Geoff and Steph for organising the meat for our BBQ, to Kelly who had done all the ground work for our ride routes and all the other tasks he completed to make this trip a success, Kevin for his assistance in loading bikes, Nick our competent bus driver and support vehicle, Helen for her superb photos and chronicling our trip, Heather for also taking photo’s and a shout out to Edena & Denise who rode like professionals on Sunday. Thanks to Richard also for his weak bladder, we thoroughly enjoyed all the toilet stops on the last leg of our trip. Thank you to all who attended, you are the ones that make this Annual Trip an absolute pleasure, I think we can all agree that lots of fun, laughter and friendship was had. P.S. Can’t wait for next year. Cycling Geelong and especially all the participants on this year’s Goldfields Tour, especially thank our two ride leaders, Karen and Kelly, Allan who spent many hours planning the tour so that it would be faultless, and our intrepid and resourceful bus driver, Nick. Allan already has 2019’s tour in planning. See you there! 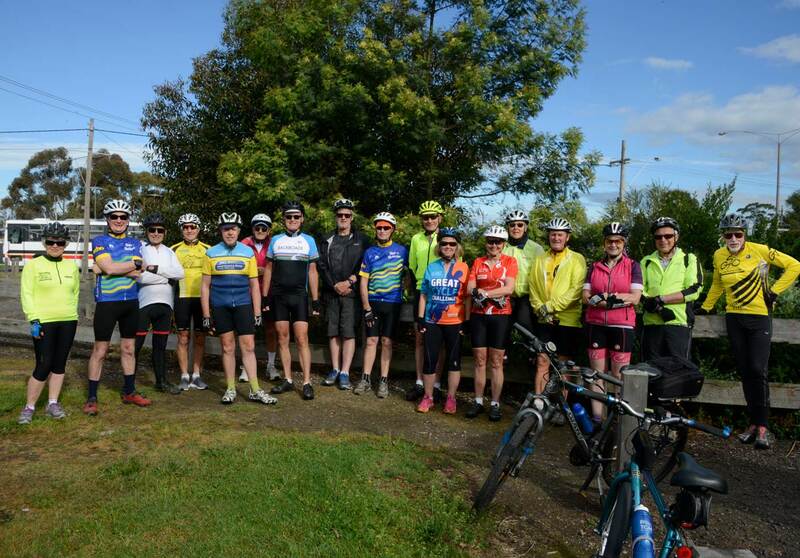 Once again, there was an excellent turn up, with twenty-one cyclists assembling near the Geelong Showgrounds. After waiting for a few latecomers, the ride got underway. 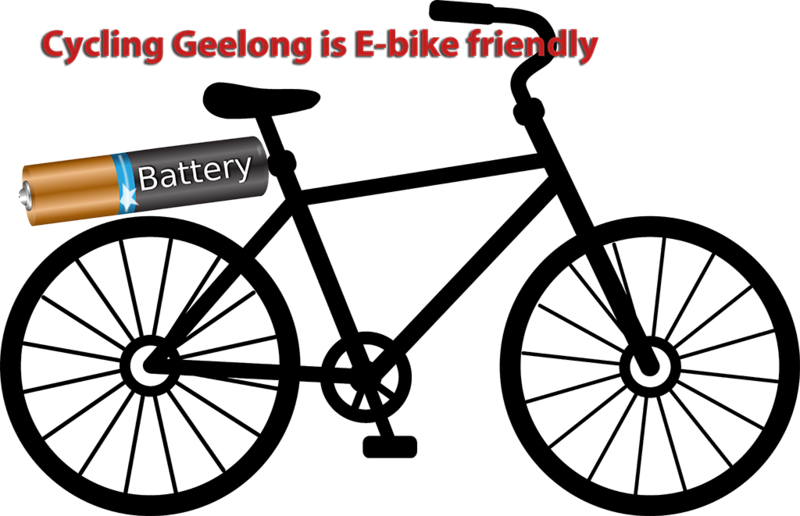 The rail trail initially passes through Geelong’s south eastern suburbs, before crossing the Bellarine Highway at Moolap. From there on the area is more open – farmlands. Thanks to the work of the Friends of the Bellarine Rail Trail, vegetation shelters the path for most of the way to Drysdale. Doug, the ride leader, joined the group at Leopold. As rest stop was held at the top of the Leopold syncline at Christies Road. The rail trail is the easiest way for cyclists to climb this hill, with all cyclists accomplishing this easily. From there the group quickly traversed farmlands to the Portarlington Road, past Curlewis Golf Club, where a new path was underway into the cafe at the driving range. From there, it was only a short way to Cafe Zoo, with the final section from the trail to Drysdale being on road. As usual, the cafe was friendly and welcoming, and a noisy group only quietened a little for Doug’s latest On Ya Bike! poem, delivered in his best radio announcer voice. The group was joined here by Jeff who’d ridden over from Point Lonsdale. 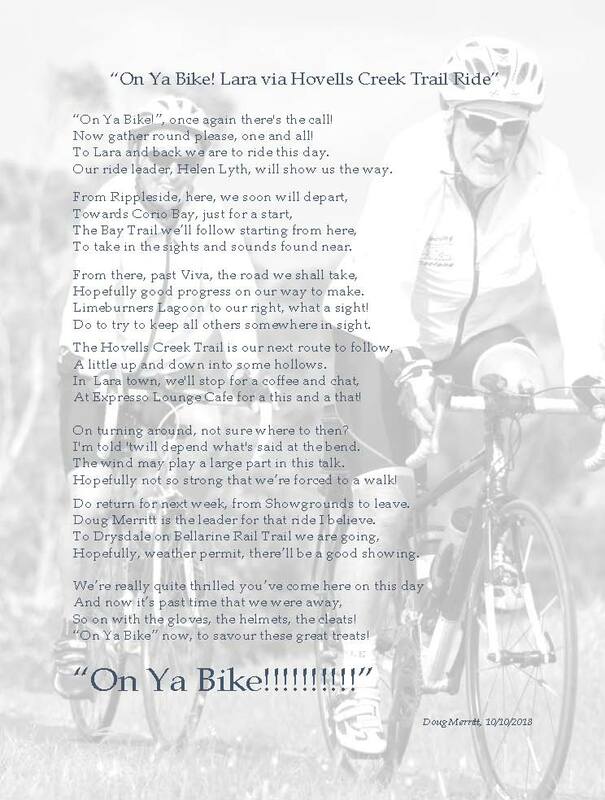 Doug reads his latest stanzas in On Ya Bike! It was good to see a few new riders to On Ya Bike! for this ride – we hope to see them back next week. 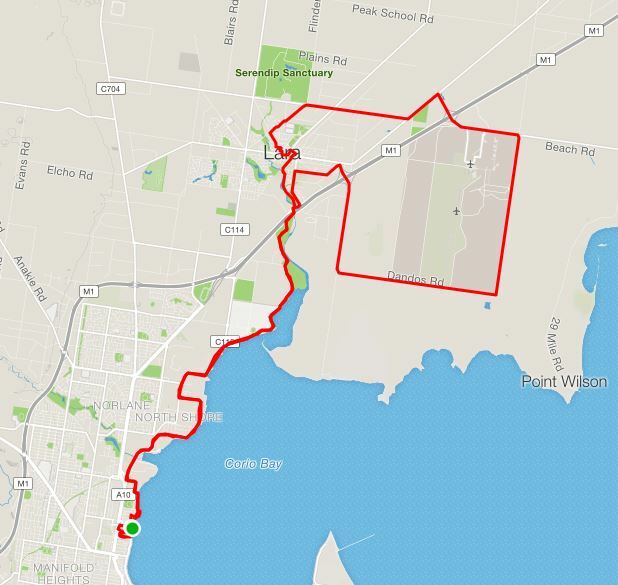 The return to the rail trail was via Wyndham Street and Jetty Road before a return to the showgrounds at around noon (with afternoon storm clouds threatening). Thanks to ride leader and bard Doug Merritt, Gerry and Terry our tail-enders, and photographer John Hagan. Thanks to all riders. The fourth ride in the On Ya Bike! series is to Moriac, leaving from South Barwon Reserve at 9am, next Wednesday, October 24th. See you there on ya bike! We have had better days for cycling! The wind was gale force, with early morning waves washing over the new Rippleside-St Helen’s pathway and a temperature of no more than 16 expected. Despite this less than ideal start, 22 cyclists arrived to ride to Lara on the second On Ya Bike! for 2018. The ride was led by Helen, with Terry and Doug sharing sweeper duties at the back. As the tide was on its way out, the group rode the new path, with only a few cyclists being unlucky enough to be wet with sea spray. John H once again took some stunning photos along the way! There was considerable wind assist, and without any hindrance from the local magpies, the group enjoyed a pleasant ride to Hovells Creek and along the path to Lara. The coffee stop was at Xpresso Lounge Cafe in Lara, where everyone was made welcome. Despite the big group, service was friendly and swift. John H takes a break on the other side of the lens. Doug will lead next week’s On Ya Bike! With some trepidation (the wind was predicted as a south-easterly) the group took off for the return journey. However, conditions were fine – the wind direction had steadied to an easterly, and it was a comfortable ride back to Rippleside. Thanks to all cyclists, John and David for the photos, and our tail-enders Terry and Doug. *Doug’s On Ya Bike! poem. The third ride in this year’s On Ya Bike! series is to Drysdale, via the Bellarine Rail Trail, next Wednesday, leaving at the rail trail, corner Carr and Tucker Streets (near the Showground entrance), at 9am. This ride is around 36km, and mainly off road on the rail trail. Coffee is at Cafe Zoo. Doug Merritt will be leading. On Ya Bike!